Edited by Hesham Abdeldayem and Naglaa Allam . Although the basic concepts of liver transplantation have never modified, the field of liver transplantation is yet young, evolving, and dynamic. In this ebook, the authors are pioneers in various aspects of liver transplantation and come from many centers . The contributions resulted in an important reference to anyone interested in developing a global view on liver transplantation, including medical students, residents, fellows, nurses, and practicing physicians and surgeons, as well as scientists in the field of liver transplantation. This book covers a wide spectrum of topics including, but not limited to, the technical issues in living and deceased donor liver transplant techniques, cell and experimental liver transplantation, as well as the problems of liver transplantation. 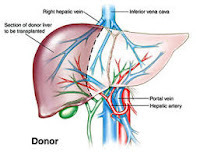 Some of the very important topics such as the arterial reconstruction in living donor liver transplantation, biliary complications, and the post-transplant-lymphoprolifrative disorders (PTLD), have been covered in more than one part. As the editor, I wish to thank all of the authors for their co-operation and desire to share their valuable experience with the medical community. On their behalf, I wish to express hope that our publication will facilitate access to the recent scientific achievements in the field of liver transplantation all over the world. To all my colleagues at the National Liver Institute in Egypt who supported and embraced me with their warm feelings: I love you all. To all my professors who so generously guided me by their example, wisdom, and insights: thank you. Finally, to Ms. Romana Vukelic, the publishing manager, with whom editing this book was a real pleasure: thank you.